Naomi started working in the hospitality industry in 2003 as a Somatologist (Beauty therapist/Manager) and found her passion for the bush. Naomi worked the majority of her career in South-Africa: Kruger National Park, Timbivati, Manyeleti, Madikwe and the Sabi Sands. She also worked on a Cruise ship and in Botswana during her career, in order to develop her skills and knowledge. Over the years she has done extra development programs to expand and improve her knowledge of the hospitality industry, and her experience in different departments in the lodge industry means she brings a strong grasp of the the sector. 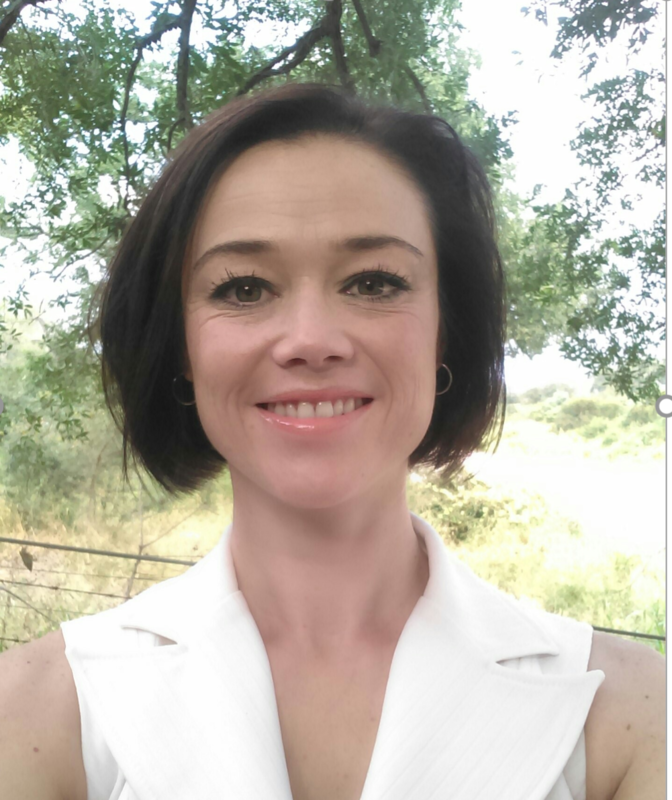 Naomi has joined Selous Safari Company as Lodge/Camp and Spa Manager for Jongomero. She will not only oversee the running of the lodge with our amazing staff, but she will also be training local residents with massage skills. This will help up-skill and empower them for future job opportunities within the hospitality sector, which is so important to the future of Tanzania. Godfrey Mloka has been working in the hospitality sector since 1997. He was inspired to pursue this as a career from a young age, when his school offered students the opportunity to go on tours to one of the main internatinal hotels in Dar Es Salaam. He was fascinated by the staff's professionalism and focus; and by the Manager of the hotel, who made a huge impression on Godfrey. At this time Godfrey had been selected by the Government to join Teacher Training Collage after he finished school. However, his Uncle encouraged him to follow his passions and develop his true ambitions. Godfrey completed Hotel Managment training and has now been at managerial level for more than 10 years in the Hotel and Tourism industry. 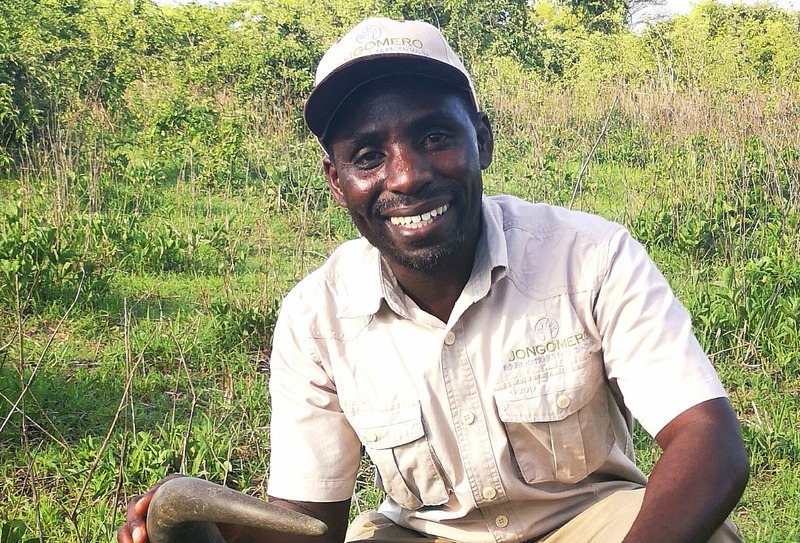 He prides himself on the effort and determination it has taken to reach his dream, and he is now delighted to be part of the prestigious Selous Safari Company, as Jongomero Camp Manager. Sitting around the camp fire at Siwandu with Emiel is captivating – his stories, his warm character and his zest for life are all infectious. Born and raised in the Eastern Arc Mountains, which are adjacent to Mkomazi National Park, Emiel’s love of the bush began at a young age as he spent lots of time with his Grandfather, who was a Chief and traditional hunter. From leaving school in 1992 he worked in the northern circuit with Huddersfield New College, WWF and WCS as a research field assistant, guide and driver. 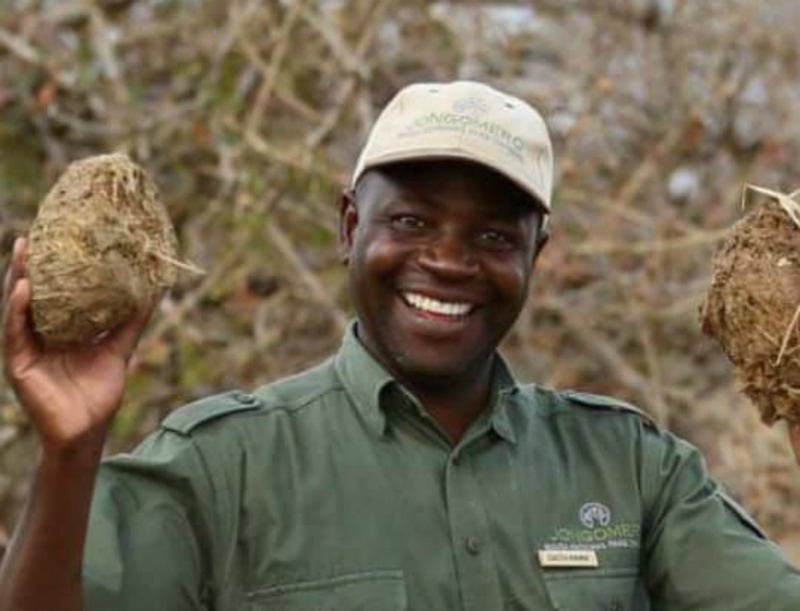 But in 1998, Emiel visited Selous and his great passion for the southern circuit began and joined Selous Safari Company in 2000 after graduating from the College of African Wildlife Management Mweka. Since then he has worked as Head Guide and Assistant Manager at Siwandu, Jongomero and Ras Kutani. Emiel is currently based at Siwandu but as the company’s Relief Manager, guests might be hosted by him at any one of our camps. Brian has been involved in nature guiding, guide training, eco-tourism & hospitality since 2001. Having spent most of his life in kwaZulu-Natal, South Africa, Brian is fluent in isiZulu, English and Afrikaans and is now learning to speak kiSwahili. He considers himself a naturalist wishing to make a contribution, however small it may be, to the survival of Africa’s wild spaces and sharing these places with anyone taking time out to enjoy them. 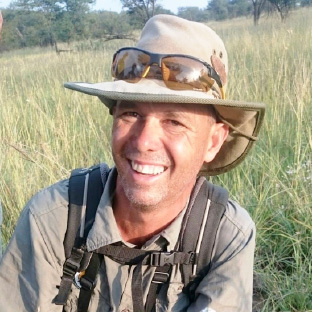 Brian is a Field Guides Association of Southern Africa (FGASA) registered guide, trainer & assessor and is qualified to conduct guided walks in “big 5 “areas. He has guided guests in the famous Kruger National Park, the oldest Game Reserve in Africa, Hulhluwe/iMfolozi Game Reserve, neighbouring Zululand parks, the Drakensberg and Battlefields of kwaZulu Natal. In 2013 Brian moved to Tanzania to join SSC as Camp manager at Jongomero and his natural interest in developing guides encouraged him to introduce a guide training programme. 2 years later 14 SSC guides had qualified as FGASA Field Guides. The intrigue of the Serengeti lured Brian to the Northern Circuit for a 2 year stint of guide training. During this time he was based in Arusha and trained over 250 Tanzanian guides in beautiful places like Tarangire, Lake Manyara, Arusha & Serengeti National Parks and Nogorongoro Conservation Area. Back packing in the Serengeti is one of the highlights during this time. 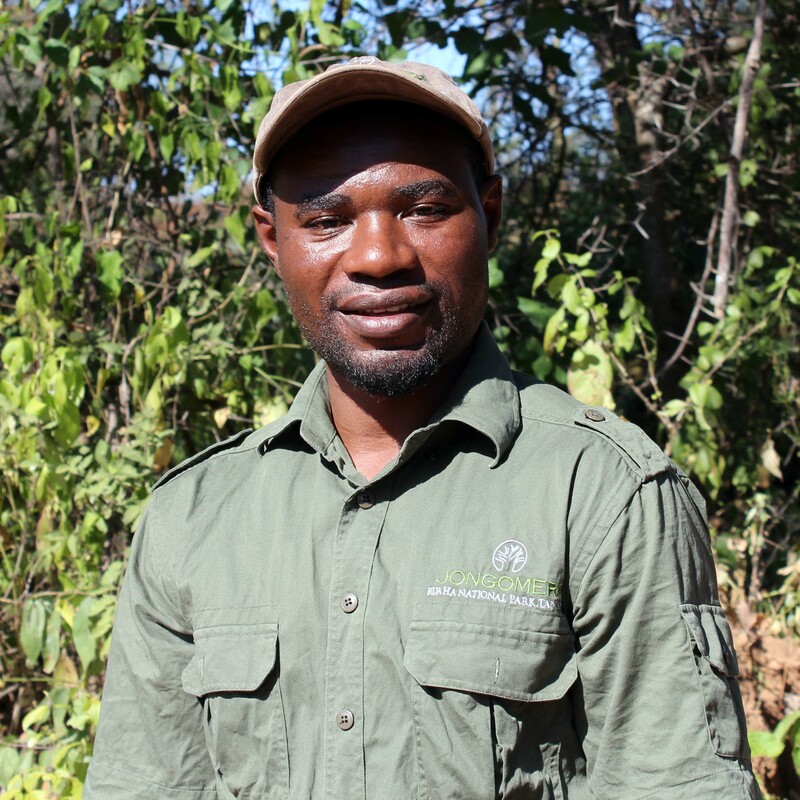 However, in October 2017, the wildness, remoteness and living permanently in the bush brought Brian back to The Ruaha & The Selous and Brian re-joined SSC as Relief Manager & Guide Trainer. He is looking forward to continuing the sharing of his knowledge and interpretation of our natural environment with our guides and seeing them develop further. Born and raised in Ilula village, just outside the historic town of Iringa, Theo sought tourism as a career from the outset. In 2005, after his schooling, Theo joined the team at Jongomero as a barman and for the next three years took great delight in talking and interacting with the guests. But he also found his passion for the African bush, taking great delight in spotting and identifying birds around the camp’s mess. Seeing Theo’s potential, Selous Safari Company invited him to train as a guide and he jumped at the opportunity to learn a new skill and relished the chance to be with the baobabs, birds and animals he loved so much. Theo’s excitement is infectious as he comes across amazing sightings on game drives - he remembers his favourite morning drive “it was early morning and passing through Nyakapembe, an open grassland, we caught sight of a leopard hunting a family of warthog – the little piglets were too tempting for the leopard! Not long afterward we came across a cheetah who was also on the hunt – it was such a thrill to see two of Africa’s greatest cats stalking their prey – and I was in heaven!” Due to his amazing vivacity he was promoted to Head Guide in 2016. 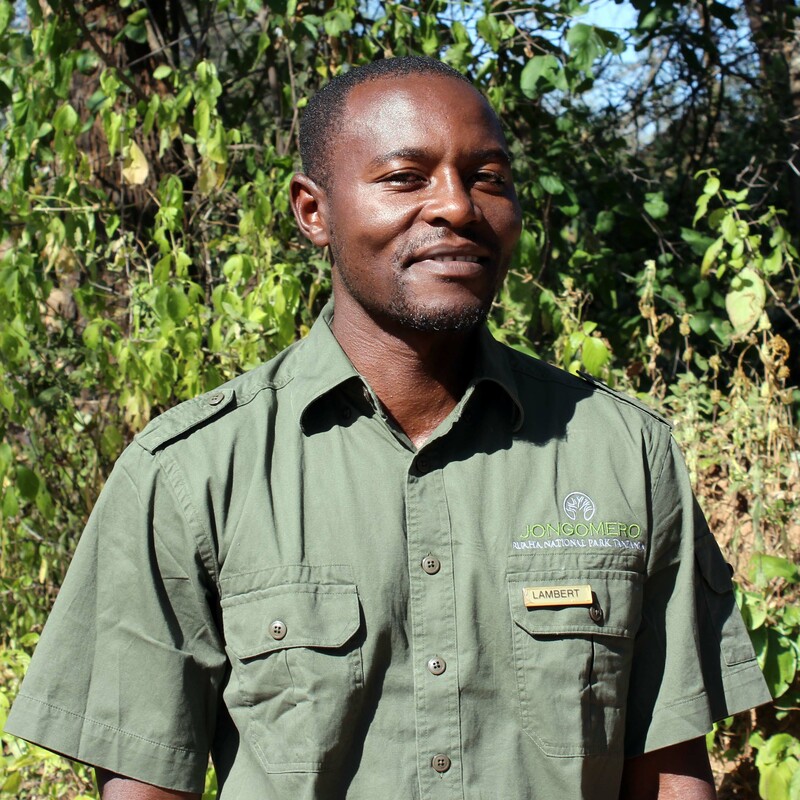 Lambert started working at Selous Safari Company in 2010 as an askari (security guard) this means spending a considerable time outdoors ensuring the safety of our guests in the camp. While performing this highly important task he began to discover that while on duty his observations of the bush became greater than looking out for night time visitors in camp. He started birding in his spare time and before he knew it was answering questions for our guests about the incredible birdlife in the camp. With this new found passion he then decided to self study and learn as much as he could about all the fauna and flora Ruaha has to offer. 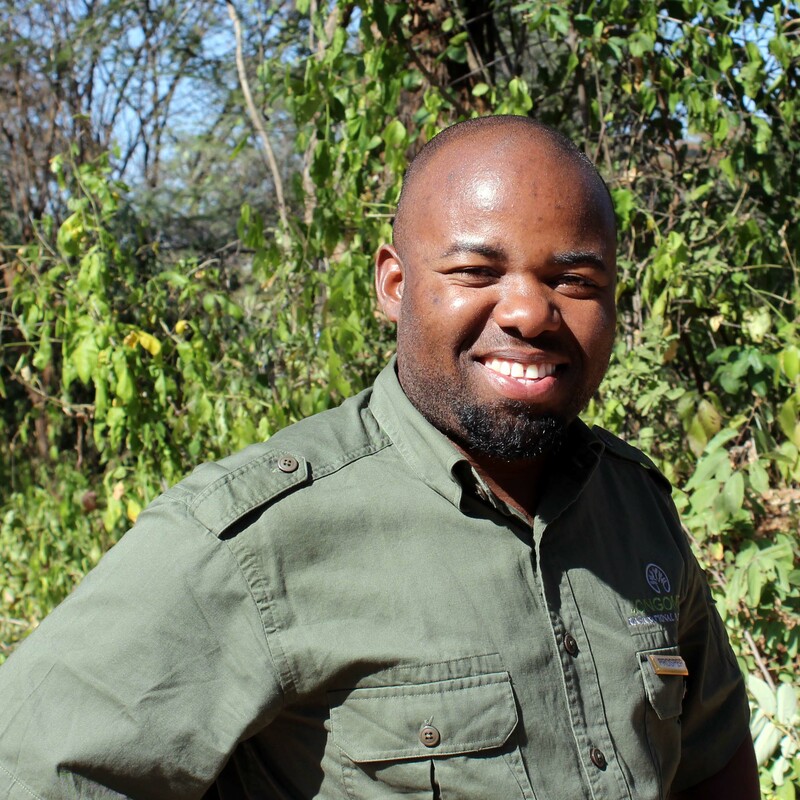 Once the managers heard Lambert had become a dedicated student of the bush we quickly inducted him into the role of trainee guide in 2016 where he spent a year assisting in the guiding of our guests. He is now a full time guide for Jongomero in 2017. Lambert’s favourite animal is the African Elephant because he feels there is still so much more to learn about them than we know. He loves Jongomero for its offering of solitude and remoteness in a vast wilderness. He particularly enjoys our marsh areas where he has seen some rarer species like Eland. His most memorable sighting so far has been of a Leopard which killed an Impala in front of the vehicle and then showing its immense strength climbed a tree where guests and Leopard alike could enjoy the sighting in peace. 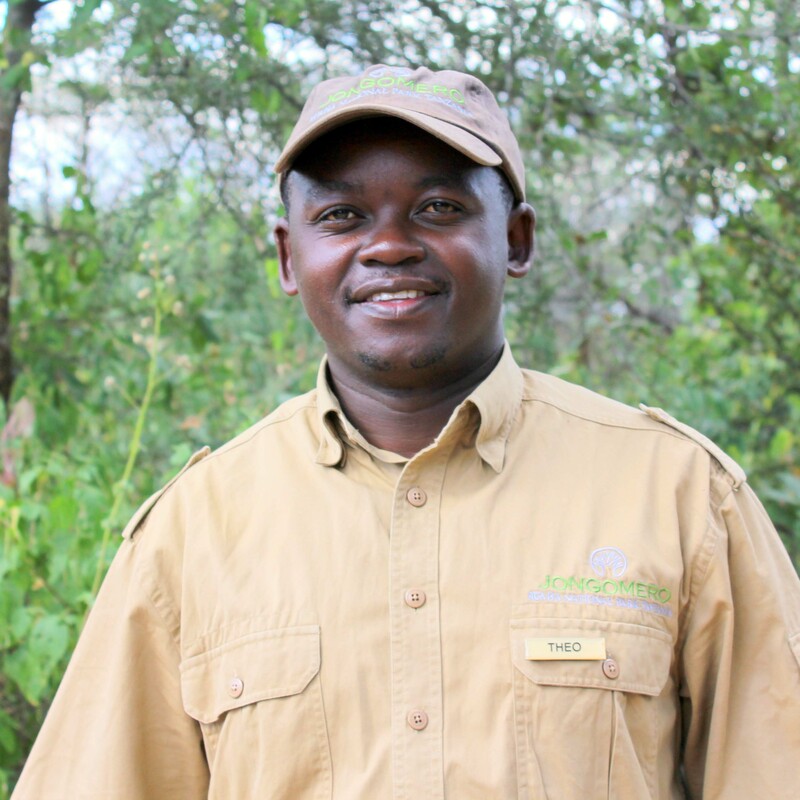 Prosper started working at Selous Safari Company in 2016 as a guide. He started guiding in 2012 after attaining his Certificate of Wildlife and Tourism Management from Mweka Wildlife College in Moshi. Prosper has guided in some unique areas of Tanzania including Tarangire National Park as well as Mahale Mountains National Park where he specialised in guiding clients in the search of Chimpanzees. He now finds himself in Ruaha National Park at Jongomero which he loves because of its remoteness. 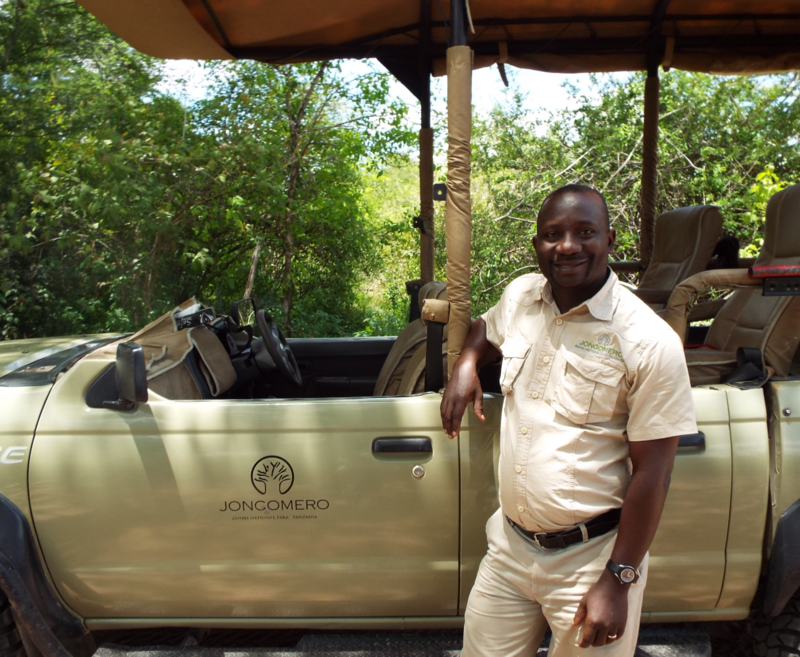 Prosper says "There is something truly special about Jongomero; to enjoy a game drive and view lions without any other vehicles is so different from the northern circuit". His favourite area to take his guests is called “Kariokoo", which means market place in Kiswahili, and is a vast acacia forest and due to the abundance of food it is not uncommon to see five or six different species of animals in one view. Prosper says his best Jongomero sighting so far has been watching a pride of Lions feed on a Buffalo they had just killed along the Ruaha river. The energy of all the snarling and growling of the Lions feeding is something that will give you goosebumps! Leonard joined Selous Safari Company in June 2014 and since then has proved to be a high achiever in FGASA Level 1 training and also a valued member of the Jongomero guiding team. Before coming to the company he obtained a Mweka College Diploma for Wildlife Management and is passionate about self-learning as well as the wildlife he reads about. "I love the southern circuit as the area is still pristine, untouched and far less crowded. At Jongomero I like the Nyakapembe area because it has a variety of different habitats, diverse wildlife and great scenery. My favourite experience so far was last season when we watched a pride of Lions along the Great Ruaha River taking down a Hippo - WOW what a fight!" In June 2004 Giovanni worked in an administrative role for a camp in Ruaha National Park. This was the first time he set foot in the park... and it was life-changing. Working in an office surrounded by nature, Giovanni felt nature calling to him. He heard about guide training and persuaded the trainer to allow him to join the class. This training paved his passion to become a nature guide. 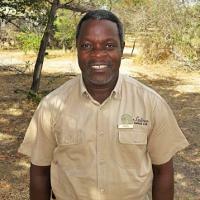 Giovanni gained extensive experience while living and working in the premier wildlife areas of Ruaha National Park. In order to maximize his experience and knowledge of nature guiding he then joined College for further study. He joined SSC as a guide in early 2018, and relishes introducing our guests to the wonders of the wilderness, wildlife and local culture.